Mr. Kailash Katkar, Co-Founder and CEO of Quick Heal Technologies Pvt. Ltd, in the wave of liberalization in 1990, was running a boot-strapped, one-room, machine repair station. He repaired Facit adding machines and ledger posting machines that were used in banks. With his strong business acumen, he understood that business cannot be successful without loyal customers on board. He worked hard on acquiring these customers and in keeping them happy. Sales and marketing activities according to Kailash, filled the gap between the company and the customers. Kailash recollects the day when he saw the first computer from Wipro which was sold to his banking customer He figured out that soon the calculating machines will be replaced by computers and his business would be affected. So he decided to take the plunge into IT. Since there were no classes in Pune, he went to Mumbai and bought a few good books and learnt computers. With his newly acquired knowledge and expertise he started approaching customers looking for computer maintenance. But being a new entrant, it was difficult to gain the trust. The resistance was also high because in those days companies spent a few lakhs in buying a computer and they did not want to give it to a newbie for repairs. This however, did not deter him from using his convincing pitch to the usual customers. Very soon an opportunity came knocking. One of his banking customer called a service engineer in Bombay (now Mumbai) asking them to come down to Pune to resolve a computer problem. He quickly seized this moment. He spoke to the customer about the delay of three days that the service engineer would take to come down and address the issue, while he could do it immediately and at no cost. Since the customer had trust on his capability in servicing machines, they gave him a chance. Kailash serviced it in no time and the customer was happy. They kept calling him for small technical things which they did not want to direct to a large vendor. Once the trust was built and the quality of service was appreciated, they started paying him. Kailash focused more on the computer services business and gradually acquired more customers. He started working with large companies and while servicing their computers, he found that these were facing virus problems. 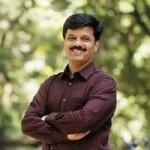 His younger brother – Sanjay Katkar was completing his degree in Computer Science. He encouraged Sanjay to learn more about these issues. Sanjay created a solution to resolve these problems and was able to fix these problems. Kailash began distributing the solution free of cost to his customers. He leveraged his free solution with the quality of service that he was providing to his customers. The customers on the other hand were quite impressed and put their trust on him as a competent software developer. This was the beginning of an Indian anti-virus business – a one-of-its-kind venture. But creating a good product was not enough. He realized that a product itself would be insufficient against the global giants like McAfee and Norton. Instead, he decided to focus on his core philosophy “Understand the client’s needs and build a product that they want”. He began by analysing the weaknesses of these products and found that the common practice at that point of time followed by the global products was to delete the virus infected files from the customer’s computer. While this took care of the problem, a lot of valuable files and data would get deleted in the process. He knew that in India data backup was still an alien concept. He built a solution that would detect and clean the file but not delete it. Quick Heal became the first anti-virus product in the world with this unique feature. Gradually, other features came into place and soon enough Quick Heal became a globally competent product. Kailash knew that developing a full-fledged product at one go is impossible, rather use a differentiated feature to penetrate, make money and utilize that money on building more robust and comprehensive products. Today, when Kailash addresses huge audiences and conferences, he still stresses on “building something useful for the customers” as his only success formula. He talks about resisting the temptation to jump into multiple platforms and devices rather maintaining focus on commonly used platforms. For example, Quick Heal was creating solutions mostly for the Windows platform and came up with a Mac OS X version only after the use of the latter platform became noticeable. He knew when the market was right for the launch of Mobile Security for Android (one of the widely used mobile platforms) and released the version in 2012 when Android phones were being scourged with newly discovered viruses. Today, Quick Heal for Android is one of the top selling products. Kailash’s advice to start-ups is that it does not matter how strong your technology is, you have to put in a lot of effort to take the product to the market. Just by posting the product on the website will not work. You have to reach out to your clients, understand their needs and pitch your product accordingly for it to be accepted. Today, Quick Heal(http://www.quickheal.co.in/), is currently a 1400+ employee organization and has 33 branches in India with global offices in Japan, Kenya, USA and Dubai. Quick Heal also has a 15000+ strong channel partner network in over 100 countries. Their products are internationally certified by AV-Comparatives, AV-Test, ICSA labs, VB 100, OPSWAT, and PSCL. They have won several awards including the CRN Channel Champions award for 6 consecutive years; Deloitte Fast 50 – 2010, SME Channels, Maharashtra IT Awards, Emerging India Award, G.S. Parkhe Industrial Merit Award to name a few.